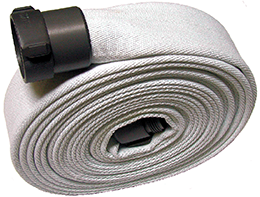 PVC discharge hoses offer economy and versatility. 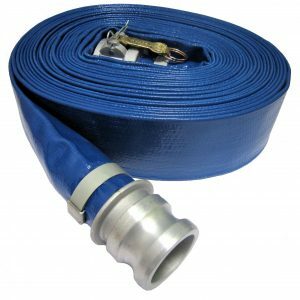 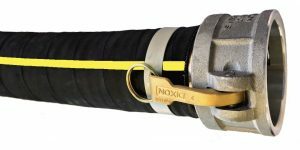 Use for pump rental discharge hose, general discharge from storage tanks or hydrant, pool discharge, agricultural use and more. 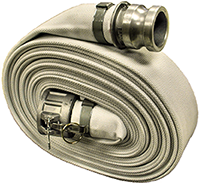 While many people refer to mill hose as fire hose, mill hose is typically made to a more economical standard and is not tested. 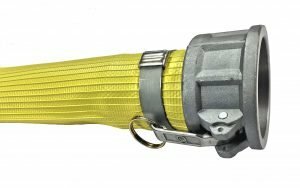 Fire hose is actually manufactured, assembled, and tested at the fire hose factory and will have NFPA stamping on the lay line. 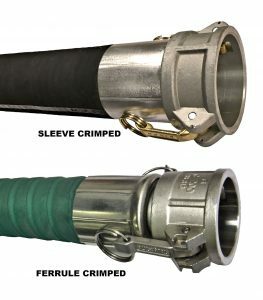 Both are available in single and double jacket grades.